Wärtsilä Yuchai Engine Co., Ltd, the joint venture company owned 50/50 by Wärtsilä and Yuchai Marine Power Co. Ltd., has begun construction of its new production facilities. The company will manufacture medium-speed marine engines, including the Wärtsilä 20, Wärtsilä 26 and Wärtsilä 32 engines, to serve the increasingly dominant Chinese shipbuilding industry. Production is planned to begin in 2014. Due to control of the company, Wärtsilä will consolidate the joint venture's figures into group figures. In March, Wärtsilä announced the set up of a new fully-owned manufacturing facility in Brazil to meet increasing market demand, particularly in the offshore market. The manufacturing premises will be based on a multi-product factory concept for the assembly and testing of Wärtsilä’s generating sets and propulsion products. 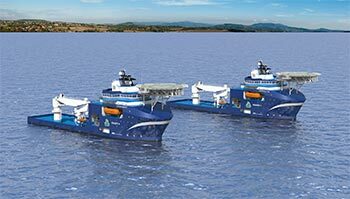 In the initial phase, activities will focus on medium sized, medium-speed generating sets and steerable thrusters, while retaining the possibility to flexibly expand the product range to respond to market needs. The value of Wärtsilä’s investment is approximately EUR 20 million and the facility is scheduled to be fully operational by mid 2014. Construction of the Wärtsilä TMH Diesel Engine Company LLC factory is proceeding according to plan. The new plant is expected to begin production during the second half of 2013. During the review period Wärtsilä continued to expand its service network by opening a new service workshop in Niterói, Rio de Janeiro, Brazil.